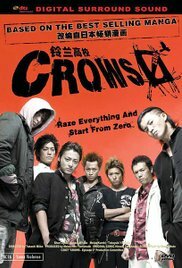 Newly transferred high school senior Genji Takiya (Shun Oguri) arrives at Suzuran All-Boys High School, an institution infamous for its population of violent delinquents. During the freshman orientation assembly, yakuza arrive at the school seeking vengeance on third-year Serizawa Tamao (Takayuki Yamada) for assaulting some members of their gang. The thugs mistake Genji for their target and a brawl ensues on the school field. Meanwhile, Serizawa is visiting his best friend Tatsukawa Korea (Kenta Kiritani), who has just been discharged from a hospital. Upon returning to the school, Serizawa witnesses Genji defeat the last of the yakuza. Read more on Wikipedia.